Just the Facts: by Tony Reinke. 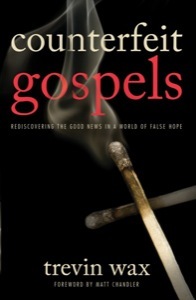 208 p. To be published Sept 30, 2011 by Crossway Books. Advanced review copy provided in electronic format by the publisher in return for my honest opinion, courtesy of NetGalley. A call for Christians to reclaim the priority, privilege, and practice of reading. Christians are identified as people of the Word—submitted to the authority of God’s written Word, called to center our lives on it and not on the image-driven world that vies for our gaze. But how do we build such lives, and what do they look like? Tony Reinke’s answer is that we are to be readers of the Word of God and of the many other books that reflect God’s truth, goodness, and beauty in the world. In Lit! 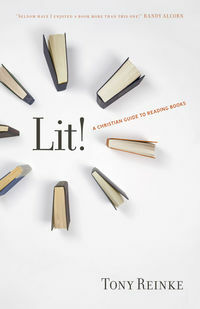 : A Christian Guide to Reading Books, Reinke lays out a theology of reading built around the gospel, developed from Scripture, and corroborated by church history. 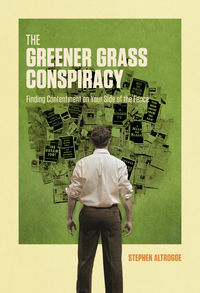 He offers guidance for exercising discernment in what we read, and practical advice on how to read regularly and well. Reinke also explains how to foster a culture of reading in our churches and homes. The book stresses that we may find truth, help, insight, or beauty in many different forms of literature, from theology to fiction to fantasy to business. Reinke reminds us that God is the author of all knowledge, and we read every book under his illumination. The book blurb on NetGalley immediately intrigued me – someone wrote a whole book on why Christians should read (and written by an admitted “non-reader”)? I snatched it up quick and wasn’t disappointed. Reinke has a great writing style that is engaging, yet succinct (I didn’t do a whole lot of skimming because he moved from point to point fairly quickly himself). 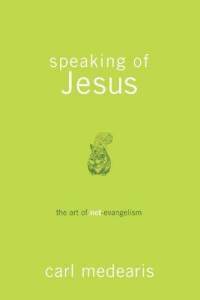 The content was great; the first half of the book is Reinke’s “theology of reading”, his own thesis on why any Christian (or any person, really) who wants to grow and mature should read. I was most struck in this section by Reinke’s discussion of how when we rely more and more on visual media to communicate, we lose out on the precision of meaning found in words. The second half is pure nuts and bolts – how to find time to read, how to highlight and annotate so that you get a lot out of your reading, how to make personal priorities for choosing what to read, and how to pass on a love and discipline of reading to your kids (to name just a few). His chapter on priorities was so timely for me – I have been feeling overwhelmed these last few months with the sheer volume of what I want to read and how little time I have to read it in (as my backlog of NetGalley manuscripts can attest to!). I took his advice and made a list of the goals I have for reading and it was so helpful to approach my TBR list with actual priorities and criteria for picking the next book! The only thing that seemed odd about this book is the fact that he is really writing to people who don’t read – and it made me wonder how on earth he would get his message out to such people using a book? (Christmas present from those who do read? My spouse just might get this one in his stocking . . .!) However, they aren’t the only people who can find some juicy nuggets in this book – I loved it, and would highly recommend it to anyone. My priorities help me determine the value of a book. My priorities set the highest value on the rarest books (like theologically sound books on the person and work of Christ) and place the lowest priority on the most abundant literature (like best-selling secular fiction). This prevents me from allowing the abundance of literature in a category to dictate my reading diet. The categories prove valuable when I walk into a bookstore. Literature is life. If you want to know what, deep down, people feel and experience, you can do no better than read the stories and poems of the human race. Writers of literature have the gift of observing and then expressing in words the essential experiences of people . . . The rewards of reading literature are significant. Literature helps to humanize us. It expands our range of experiences. It fosters awareness of ourselves and the world. It enlarges our compassion for people. It awakens our imaginations. It expresses our feelings and insights about God, nature, and life. It enlivens our sense of beauty. This is a matter of conscience for each believer. And while there are no rigid rules for what Christians should or should not read, we must each be sensitive to our own conscience and the consciences of those around us. As we establish our own understanding of what books we will and will not read ourselves, we must respect the parameters that other Christians have chosen to set for themselves and for their children. “Literature and art are God’s gifts to the human race,” writes literature scholar Leland Ryken. “One of the liberating effects of letting ourselves ‘go’ as we enjoy literature is to realize that we can partly affirm the value of literature whose content or worldview we dislike. If God is the ultimate source of all beauty and artistry, then the artistic dimension of literature is the point at which Christians can be unreserved in their enthusiasm for the works of non-Christian writers.”14 This point is critical for book readers. Our freedom to enjoy the aesthetic beauty of non-Christian literature does not require us to first endorse the author’s worldview or personal ethical choices.